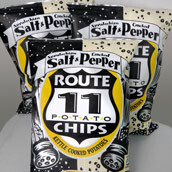 Appalachian Salt & Cracked Pepper is Route 11 Chips' first new flavor in 12 years—and of course we were waiting for something special! Four hundred feet under the Appalachian Mountains is an ancient sea with a salt so sublime that it won "BEST SALT IN THE WORLD" at the London World's Fair in 1851. 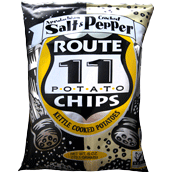 With the mineral complexity of this salt and rough cracked pepper, Route 11 Appalachian Salt & Cracked Pepper chips deliver a full, delicious flavor with excellent balance—using only four ingredients. Evaporating the salt using solar energy and one of the world's few remaining brine wells takes our partner J.Q. Dickinson as much care as it does for us to kettle-cook our USA spuds in such small batches. 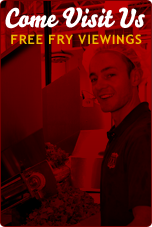 But once you taste these perfect chips, you'll understand why we make them.